Networking with peers is a core positive component of ongoing Women in Data UK activity. We have seen women support each in our data community to find confidence, develop new skills, and make progress in their careers. They provide each other with ideas, comment and practical help. 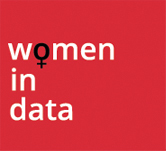 Since the beginnings of Women in Data UK, we have sought to extend the huge positive impact of our annual event to smaller events running throughout the year. So it is exciting to announce that Data Meet-ups will run throughout 2019, hosted by some of our partners. Like our annual event, these new Partner Meet-ups will blend inspirational talks, hands-on exercises and the valuable opportunity to meet and network with industry leaders and peers. Partner Meet-ups represent an important extension to the WID UK programme. We are excited by the prospect of the first Meet-up in late February, with 100 attendees expected. We will announce details about content, location and how to apply to attend very soon. As ever, we need your feedback and suggestions. Please do not hesitate to use the WiD UK contact options to let us know your thoughts … this is your community.